The U.S. college with the first interdisciplinary wine studies degree will now be the first U.S. college with a five-year program leading to both bachelor’s and master’s degrees in wine studies. Linfield College, with campuses in McMinnville and Portland, Ore., is teaming up with Ecole Superieure d’Agriculture (ESA) in Angers, France, for the initiative. Students who complete the program will receive a bachelor’s degree in wine studies from Linfield and an international vintage master’s degree from ESA. “This 3/2 program provides an accelerated pathway for students to gain both a bachelor’s and master’s degree, and to gain important work experience in the heart of Oregon’s wine country and in three or more European countries,” said Gregory V. Jones, Director of the Evenstad Center for Wine Education at Linfield. Jones called the effort “an exciting opportunity through a unique program,” and said it will open doors to wine-industry careers worldwide for graduates. Students in the program will spend the first three years at Linfield, earning 90 semester credits in wine studies. They will spend the next two years at ESA, studying in either Spain or Hungary during their first semester and in Portugal or Italy during their second semester. Students’ third semester will be in France, and they will spend their fourth semester conducting a professional thesis project at a private company, research laboratory or public institution in any of the countries in which they have studied or in Chile, South Africa, Switzerland or England. Students will also have the option of completing internships during academic breaks in the final two years of the program. All classes are taught in English, but students are encouraged to study the language of the country in which they complete their internship. 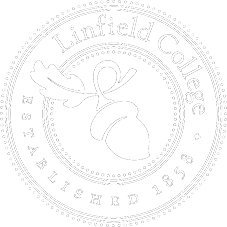 The program is limited to five students per year, and students must apply by the spring of their junior year at Linfield. The first Linfield students could start at ESA as early as the fall of 2019. Linfield has a long-standing minor in wine studies and announced the nation’s first interdisciplinary liberal arts bachelor’s degree in wine studies last spring. Unlike grape-growing or winemaking pre-professional programs, the major incorporates a core liberal arts curriculum as well as the historical, geographical and environmental aspects of viticulture and every step of making, selling and marketing wine. Linfield also announced the creation of the Grace and Ken Evenstad Center for Wine Education in 2018 after receiving a $6 million commitment from the founders of the Domaine Serene Winery. The gift, the largest in support of wine education in Oregon’s history, funds an endowed faculty position, the Evenstad Chair in Wine Studies. It will support the design and construction of the Evenstad Wine Laboratory as part of a new science building under development on the college’s McMinnville campus. 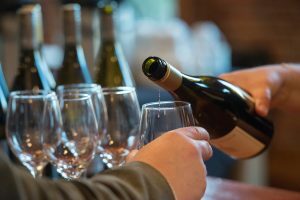 The Evenstad Center for Wine Education at Linfield also offers wine management and wine marketing certificates online, hosts a wine lecture series, provides a summer bootcamp classes in wine and hosts one of the world’s premier wine events—the International Pinot Noir Celebration—each summer. The Oregon Wine History Archive is also housed at Linfield. For more information, visit www.linfield.edu/wine/wine-studies-international-study-opportunities.html. This entry was posted in Latest News, Press Releases and tagged bachelor's and master's program, Ecole Superieure d’Agriculture (ESA), ESA, Greg Jones, international vintage master’s degree, wine. Bookmark the permalink.